Vatican Council II sought to reopen a new path to the authentic understanding of the identity of the priesthood. So why in the world did there come, just after the Council, a crisis in its identity comparable historically only to the consequences of the Protestant Reformation in the 16th century? I am thinking of the crisis in the teaching of the priesthood that took place during the Protestant Reformation, a crisis on the dogmatic level, by which the priest was reduced to a mere representative of the community, through an elimination of the essential difference between the ordained priesthood and the common one of all the faithful. And then of the existential and spiritual crisis that took place in the second half of the 20th century, which in chronological terms exploded after Vatican Council II – but certainly not because of the Council – the consequences of which we are still suffering from today. …. Joseph Ratzinger subjects to detailed critical examination, in its turn, the historical criticism imprinted on Protestant theology and does so by distinguishing philosophical and theological prejudices from the use of the historical method. 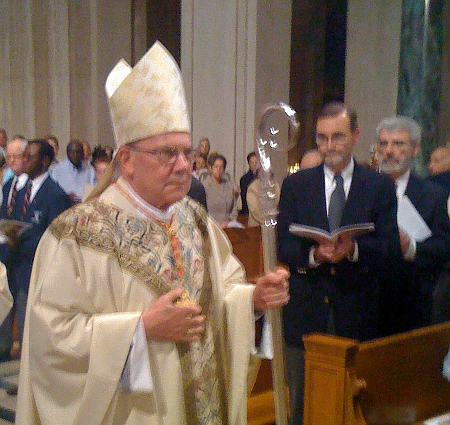 In this way, he succeeds in demonstrating that with the accomplishments of modern biblical exegesis and a precise analysis of historical-dogmatic development one can arrive in a very well-founded way at the dogmatic statements produced above all at the Councils of Florence, Trent, and Vatican II. That which Jesus means for the relationship of all men and of the whole of creation with God – therefore the recognition of Christ as Redeemer and universal Mediator of salvation, developed in the Letter to the Hebrews by means of the category of “High Priest” (Archiereus) – is never made to depend, as a condition, on his belonging to the Levitical priesthood. The foundation of the being and mission of Jesus resides instead in his coming from the Father, from that house and that temple in which he dwells and must be (cf. Lk 2:49). It is the divinity of the Word that makes Jesus, in the human nature that he assumed, the one true Teacher, Shepherd, Priest, Mediator, and Redeemer. 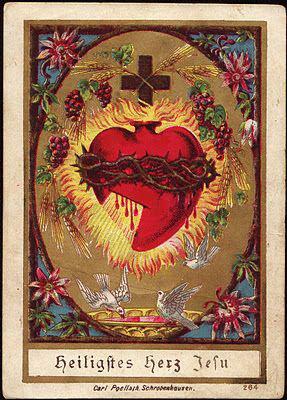 He makes participants in this consecration and mission of his through the call of the Twelve. From them arises the circle of the apostles who found the mission of the Church in history as a dimension essential to the ecclesial nature. They transmit their power to the heads and pastors of the universal and particular Church, who operate on the local and supra-local level. 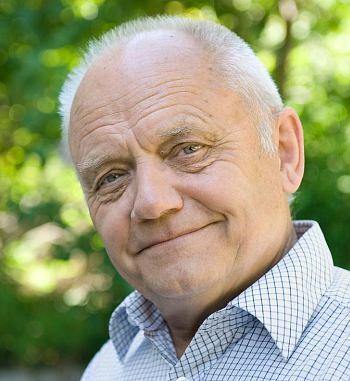 I dag er det 65 år siden den unge Joseph Ratzingers presteordinasjon. I en samling i går i Vatikanet snakket han offentlig for andre gang på over tre år, se under. On Tuesday, Benedict XVI gave his second public speech since his final day as Pope, expressing gratitude for a lengthy priesthood and for Pope Francis’ “goodness,” which he said moves him deeply. Speaking to Pope Francis and members of the College of Cardinals gathered inside the Vatican’s small Clementine Hall for the 65th anniversary of his priestly ordination, Benedict said the Greek word “Efkaristomen” (let us give thanks), expresses “all that there is to say” for the occasion. Father Z skriver også om dette. Fra 1975 til 1987 var han generalsekretær i Lagsbevegelsen og fra 1987 til 2000 i Indremisjonsselskapet. Skaaheim sto sentralt i forbindelse med fusjonen mellom Indremisjonsselskapet og Santalmisjonen, og ble ved siste århundreskifte også den første generalsekretær i Normisjon (og var generalsekretær der fram til 2003). …. Også etter at han sluttet som Normisjonsgeneral, for ni år siden, har Skaaheim hatt almanakken full av avtaler. Jeg kjente Skaaheim godt på slutten av 70-tallet, og hørte bl.a. hans gode bibeltimer i Blinderns største auditorium og på det nordiske studentmøtet i Trondheim. Siste gang jeg traff ham illustrerer siste punkt i artikkelen; jeg fløy hjem til Oslo fra familiebesøk på Jæren, og bli sittende ved siden av ham på flyet fra Sola, der han hadde vært på en av sine mange prekenturer. Det er trist at han skulle dø såpass tidlig. Dette skriver Vårt Land i dag, og bakgrunnen er at Stortinget har bestemt “å utrede muligheten for å frata trossamfunn økonomisk støtte dersom de oppfordrer til lovbrudd, finansieres av stater som bryter fundamentale menneskerettigheter, eller begår «andre alvorlige forhold»”. Utgangspunktet er at staten har valgt å støtte Den norske kirke. For ikke å bli tatt for diskriminering, får andre tros- og livssynssamfunn samme støtte per medlem som kirken. Selv om staten har løsnet på båndene til kirken, slår Grunnloven fast at den skal støtte kirken slik at den kan fungere som «folkekirke», og andre tros- og livssynssamfunn tilsvarende. – Det er ikke stilt bestemte krav til støtten i Grunnloven. Det er naturlig å tolke det som grunnlovsfestet å videreføre dagens romslige ordning, sier Plesner. SV-forslaget kan altså kollidere med menneskerettighetenes vern mot diskriminering – du må støtte alle eller ingen – og med Grunnlovens bestemmelser om støtte til kirken og trossamfunn. – Det må trolig grunnlovsendringer til hvis man skal innføre slike krav, sier Plesner. 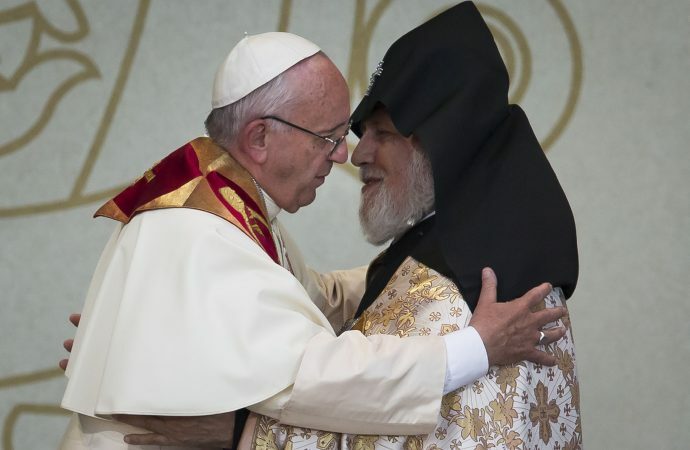 … By any worldly measure, a comparison between Pope Francis and His Holiness Karekin II, the Catholicos of All Armenians, is a total mismatch. A pope leads a global faith made up of 1.2 billion people, presides over a sovereign state in the Vatican that has diplomatic relations with pretty much everybody, and is a media rock star all around the world. The head of the Armenian Apostolic Church, on the other hand, has at most 9 million followers, and is a rock star in exactly one spot: Armenia, a nation of around 3 million people. Otherwise, take off his clerical vestments, and he could move through airports unrecognized. Despite its history as the world’s first officially Christian nation, Armenia is, frankly, something of a bit player even within Orthodoxy. It’s one of six Oriental Orthodox churches that don’t recognize the Council of Chalcedon, and thus tends to be overlooked in comparison to better-known Orthodox groups such as the Patriarchate of Constantinople and the Russian Orthodox Church. Yet over the past three days, the choreography of the trip, over and over again, has projected the idea that Francis and Karekin are complete equals, both heads of ancient churches and both invested with spiritual authority. On Saturday, Francis and Karekin visited the northern Armenian city of Gyumri, and before leaving they stopped at both the Armenian and Catholic cathedrals. 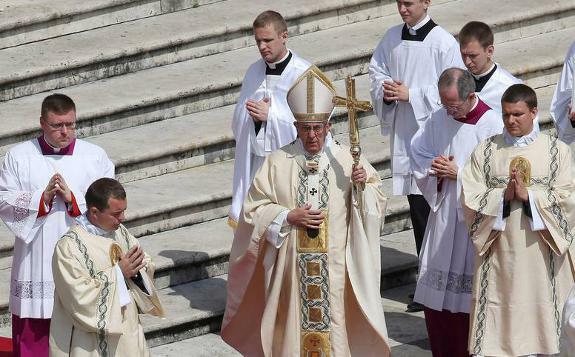 Francis offered the final blessing in the Armenian place of worship, while Karekin did so in the Catholic setting. Also on Saturday, Karekin joined Francis for an open-air Mass the pontiff celebrated in Gyumri’s Vartanants Square, and on Sunday Francis returned the favor by taking part in a Divine Liturgy staged in the courtyard of the Apostolic Palace of the Armenian church in Etchmiadzin. In both cases, the two men processed in together, side-by-side, and Sunday’s Orthodox liturgy was a rare case of a public event at which a pope was present but not actually the main actor. At one point, a choir intoned prayers for both Karekin and Francis. … (I was) alerted to a fascinating piece of investigative journalism, published the previous day by The Atlantic. The article details Ariel Sabar’s exposure of the provenance of a Coptic papyrus that, some say, proves that Jesus was married. Sabar demonstrates that it is almost certainly a fake. She reached this conclusion, she said, after reading The Atlantic’s investigation into the papyrus’s origins, which appears in the magazine’s July/August issue and was posted to its website Wednesday night. …..
Jeg leste også den svært lange artikkelen i The Atlantic, som viser hvordan svindelen ble avslørt – LES DEN HER. Jeg ser nå (senere 22/6) at Bjørn Are Davidsen skrev om dette allerede 17/6 – SE HER. Denne søndagen feires 6. søndag etter pinse, i St Hallvard kirkes kapell kl 08.00. Brødre, vet dere ikke at alle vi som er døpt til Jesus Kristus, vi er døpt til hans død? For vi er gravlagt med ham ved dåpen til døden, så vi skal vandre i et nytt levnet liksom Kristus er stått opp fra de døde ved Faderens herlighet. For når vi er blitt inderlig forenet med ham i likheten med hans død, så skal vi også være det i likheten med hans oppstandelse, fordi vi vet at vårt gamle menneske er blitt korsfestet med ham, så syndelegemet kan bli tilintetgjort, og vi ikke lenger skal tjene synden. …. … Et accípiens septem panes, grátias agens fregit, et dabat discipulis suis ut appónerent, et apposuérunt turbæ. Et habébant piscículos páucos: et ipsos benedíxit, et jussit appóni. Et manducavérunt, et saturáti sunt, et sustulérunt quod superáverat de fragméntis, septem sportas. Erant autem qui manducavérunt, quasi quátuor míllia: et dimísit eos. – Og Jesus tok de syv brødene, takket og brøt dem og ga dem til sine disipler, så de kunne dele dem ut, og de delte ut til folket. Og de hadde noen få småfisker. Og han velsignet dem også og bød at de skulle deles ut. Og de åt og ble mette, og de tok opp det som ble til overs av stykkene, syv kurver! Og de som hadde ett, var omkring fire tusen; og han lot dem fare. Les alle dagens tekster og bønner her. On Tuesday, Fr. James Martin, the Jesuit journalist and editor-at-large of America, posted a video on Facebook about the recent massacre in Orlando. In his video, Fr. Martin expresses his dismay over the responses of the American Catholic bishops, not because the bishops failed to express sorrow, outrage, and solidarity with those suffering, but because they did not (except for Chicago’s Blaise Cupich) direct their condolences explicitly to the LGBT community. … The Catholic Church and the LGBT Community have divergent understandings of human nature, personal identity, the proper use of bodies, and the requirements for happiness. As Fr. Martin rightly points out, Catholics treat the LGBT Community as “other”—not because the Church wishes to exclude members of the LGBT Community from the mercy of Christ, induction into the Church, or eventual participation in the Sacraments (on the contrary, this is one of our great hopes), but because the beliefs, practices, politics, and morals proposed by the LGBT Community as an ideological bloc are fundamentally inimical to the primary end of man. Onsdag den 15. juni 2016 fylte den amerikanske kardinalen William Levada åtti år. Han ledet fra 2005 til 2012 Troslærekongregasjonen i Vatikanet som kardinal Joseph Ratzingers etterfølger. …. William Levada var erkebiskop av San Francisco da pave Benedikt XVI (2005-13) i mai 2005 utnevnte ham som sin etterfølger som prefekt for Troslærekongregasjonen, som kardinal Ratzinger hadde ledet siden 1981. Levada var den første amerikaner i dette innflytelsesrike vervet. Han ble født den 15. juni 1936 i Long Beach i California, og allerede fra 1976 til 1983 arbeidet han som saksbehandler i Troslærekongregasjonen og fikk da sin sjef Ratzingers tillit. Growing acceptance of euthanasia does not indicate increased compassion, but highlights the rise of a selfish “throwaway culture” that casts aside the sick, the dying and those who do not satisfy the perceived requirements of a healthy life, Pope Francis has said. In a culture that is increasingly “technological and individualistic,” some tend to “hide behind alleged compassion to justify killing a patient,” the Pope told health professionals from Spain and Latin America on June 9. There hasn’t been one for more than a thousand years, it’s been in the works for sixty years, and it has finally been convened for this Pentecost, which for the Eastern Churches falls on June 19 this year. But just as the launch draws near, the much-implored pan-Orthodox Council is at risk of falling through. – the mission of the Orthodox Church in the contemporary world in regard to peace, freedom, and brotherhood among peoples. On April 22, the patriarchate of Bulgaria declared unacceptable some passages of points 4, 5, 6, 12, and 16 of the document that it had however approved three months before. 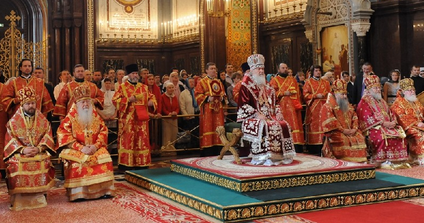 The document, in the judgment of the Bulgarian patriarchate, errs theologically, dogmatically, and canonically in failing to recognize that outside of the Orthodox Church there is no other “church” but only heresies and schisms; that Christian unity has never been lost, because the Orthodox Church has always been united and will always be so; that those who have fallen into heresy and schism must first return to the Orthodox faith and give obedience to it before being accepted in that which is the only true Church. Den nye festen for hl Maria Magdalena (les om det her) har til og med fått sin egen prefasjon – for “apostlenes apostel”, les om det her – som så langt visst bare fins på latin. Kanskje noe latinkyndige kan foreslå en norsk oversettelse? … The archbishop took the opportunity to highlight two ideas inherent in the biblical and liturgical texts of the new feast, which may contribute to a better understanding of the current importance of a saint such as Mary Magdalene. 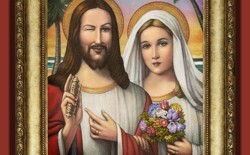 “Precisely since she was an eyewitness to the Risen Christ, she was also the first to testify before the apostles. She fulfils the mandate the Risen Christ gives her: ‘go to my brothers and say to them … Mary Magdalene went and announced to the disciples, “I have seen the Lord”—and that he had said these things to her’. In this way she becomes, as is already known, an evangelist, or rather a messenger who announces the good news of the resurrection of the Lord; or, as Rabano Mauro and St. Thomas Aquinas said, ‘apostolorum apostola’, as she announces to the apostles what they in turn will announce to all the world. The Angelic Doctor is right to apply this term to Mary Magdalene: she is the witness to the Risen Christ and announces the message of the resurrection of the Lord, like the other apostles. 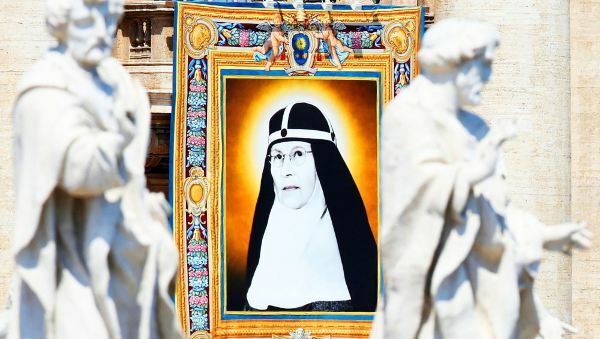 Therefore it is right that the liturgical celebration of this woman should have the same level of festivity given to the apostles in the General Roman Calendar, and that the special mission of this woman be highlighted, as an example and model to every woman in the Church”, concluded Archbishop Roche. I de dager sendte kong Akab bud omkring til alle israelittene og stevnet profetene sammen på Karmelfjellet. Da sa Elia til Ba’als profeter: «Velg dere en av oksene og stell den til først, siden dere er flest! Påkall så deres guds navn, men tenn ikke ild!» Så tok de den oksen han hadde gitt dem, stelte den til og påkalte Ba’al fra morgen til middag. De sa: «Svar oss, Ba’al!» Men det kom ikke en lyd; det var ingen som svarte. Imens hinket de omkring alteret de hadde reist. Da det var blitt middag, gjorde Elia narr av dem og sa: «Rop høyere! Han er jo Gud. Han er vel falt i tanker, eller han er gått avsides eller er ute på reise. Kanskje sover han og må våkne først.» Så ropte de enda høyere og rispet seg opp med sverd og spyd, som de hadde for skikk, til blodet rant ned over dem. Da det led over middag, begynte de å rase. Slik holdt de på til den tid da matofferet ble frembåret. Men det kom ikke en lyd; det var ingen som svarte, og ingen som enset dem. Hesselblad levde fra 1870 til 1957 og er blant annet kjent for å ha gjenopplivet den gamle Birgittinerordenen etter reformasjonen. Ordenen ble grunnlagt i 1370 av hellige Birgitta, som Vatikanet gjorde til helgen allerede i 1391. Under en høytidelig seremoni i Vatikanet med flere tusen mennesker til stede helgenerklærte paven den svenske kvinnen. Til stede var både slektninger av hovedpersonen, den svenske erkebiskopen og landets kultur- og demokratiminister Alice Bah Kuhnke. Etter at paven leste opp kanoniseringen av Elizabeth Hesselblad ble svenskens relikvier båret fram av en ung kubansk gutt. Han har vært en stor del av årsaken til at Elizabeth Hesselblad nå er kanonisert. Alle som kanoniseres må være forbundet med mirakler. For Elizabeth Hesselblad sin del handler det om at gutten som toåring led av en hjernesvulst, og hvor han etter en vanskelig operasjon kom til hektene igjen etter at priorinnen på byens Birgittinkloster ba en bønn for ham. Avisa Dagen skriver også om dette, og tar med bildet fra dagens messe (under). 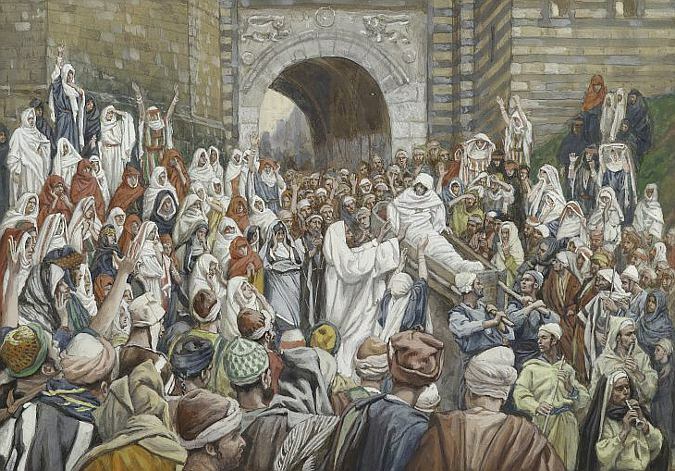 Dette er en kjent tekst – bildet over er fra ca 1890 av den franske maleren James Tissot – som en søndag hvert år ble brukt i den katolske messen i over 1000 år (på 15. søndag etter pinse). Etter 1970 er teksten dessverre nesten helt blitt borte; mellom 1997 og 2037 brukes den bare i 2013 og 2016, siden den (10. søndag år C) ellers blir hoppet over pga Treenighetsfesten eller Corpus Christi. Les mer om dette her. Helt fra apostlenes tid har det i Kirken vært en andakt for Guds kjærlighet og for Kristi kjærlighet, men dette kan ikke kalles andakt for Jesu helligste Hjerte i den forstand, ettersom den ikke vier noen oppmerksomhet til Jesu Hjerte som symbol på hans kjærlighet til menneskene. …..
På 1500-tallet begynte andakten for Jesu Hjerte å spre seg utenfor Rhinland, hvor den først startet, og fra Tyskland synes den å ha blitt tatt med av flere fromme ordensfolk i ulike ordener, blant annet jesuittene, som tok den med til misjonsland. …. Alle de tre festene etter påsken: Treenighetsfesten, Kristi Legemsfest og Jesu-Hjerte-festen, stammer fra det burgundiske området rundt Cluny og Clairvaux og henviser på denne måten til sine røtter i den benediktinske og bernhardinske fromhet. Hvordan kan man snakke om “mann og kvinne” og “vær fruktbare” når man snakker om par av samme kjønn? Brevet vi fikk var ikke klargjørende, så vi har med hjelp fra vår advokat sendt et brev i retur med flere spørsmål, for vi trenger bedre svar, sier Per Anders Sandgren til Vårt Land. Han er sokneprest i den Svenska kyrkan i Norge, som har fire forsamlinger her til lands med 22.000 medlemmer. Assisterende fylkesmann Bjerkmo vil ikke gå inn på hva slags praksisendringer det kan bli snakk om. – Først vil vi gjerne ha møter med kirkene, og høre hvordan de har tenkt å løse saken, sier hun til Vårt Land. – Før vi ber om et slikt møte, må departementet svare oss. Se videoen her, hvis den ikke fungerer på Dagbladets side. Dagbladet viser en video tatt med drone fra Kjerag innerst i Lysefjorden i Rogaland. Filmen er visst sett et svært stort antall mennesker rundt om i verden. Min kone og jeg var der i juli 2009 – rett før vi flyttet til Oslo.